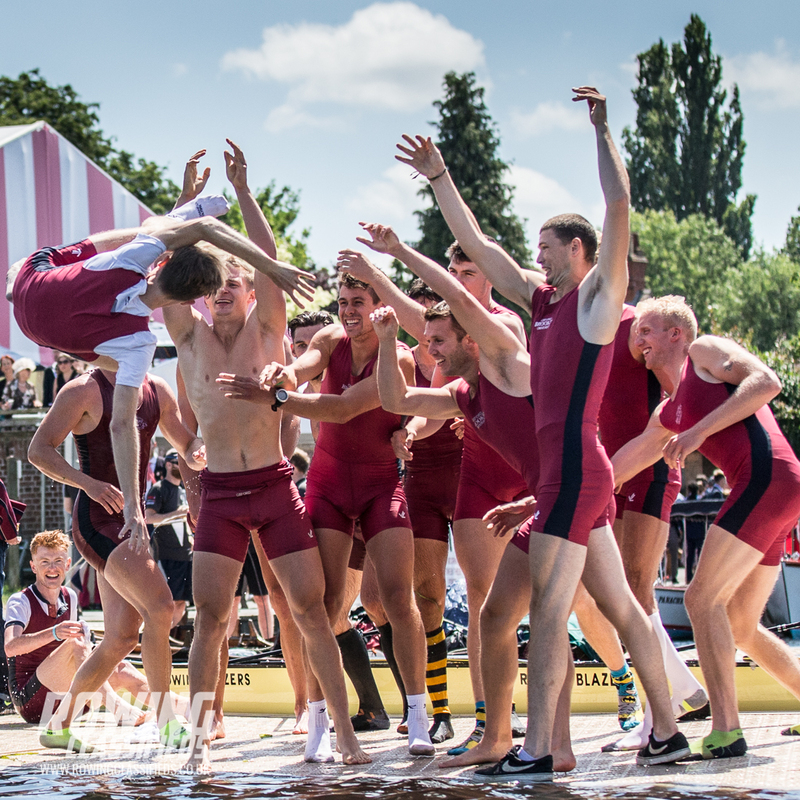 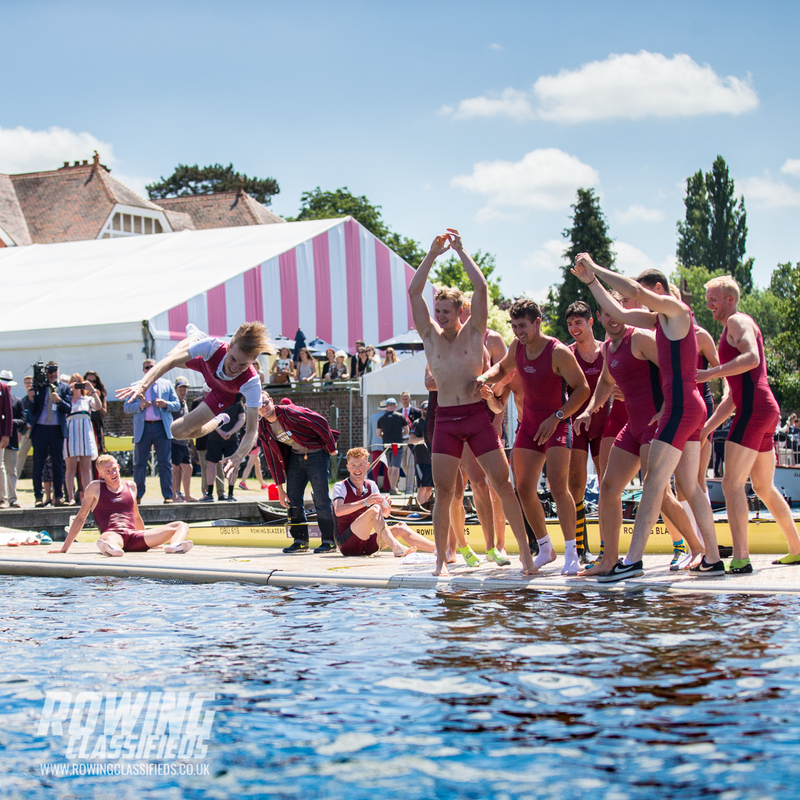 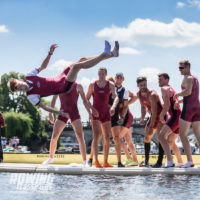 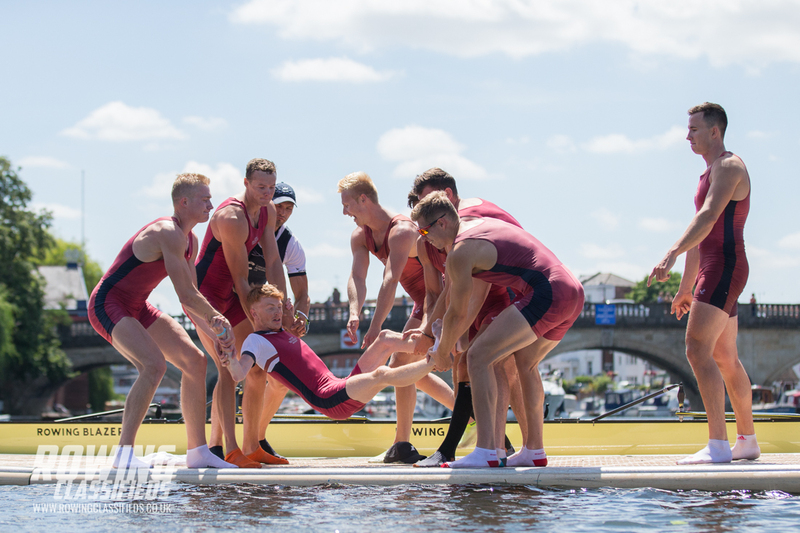 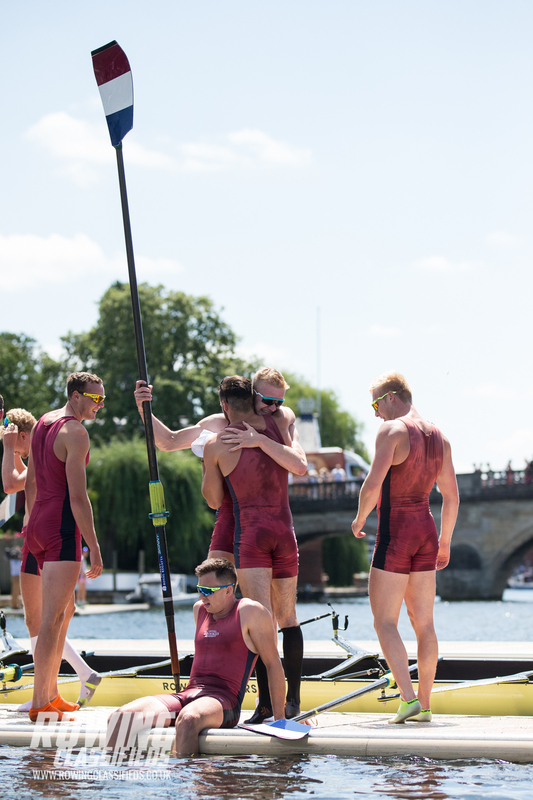 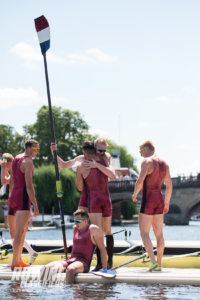 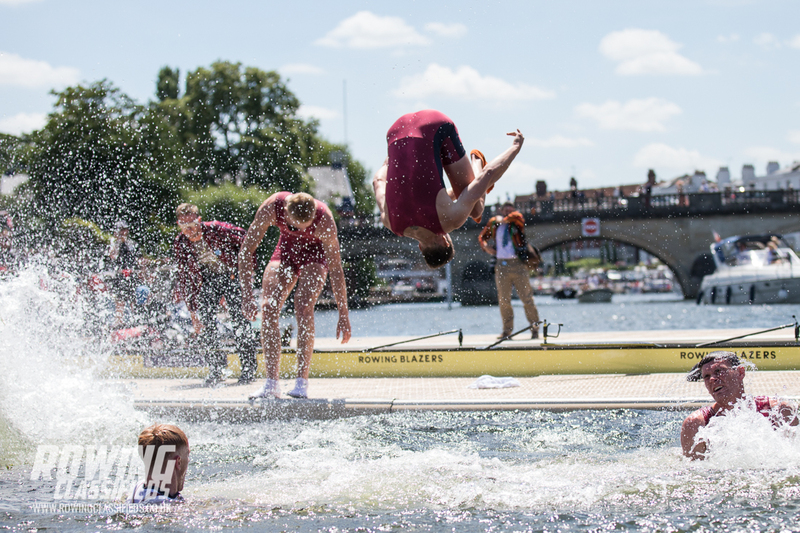 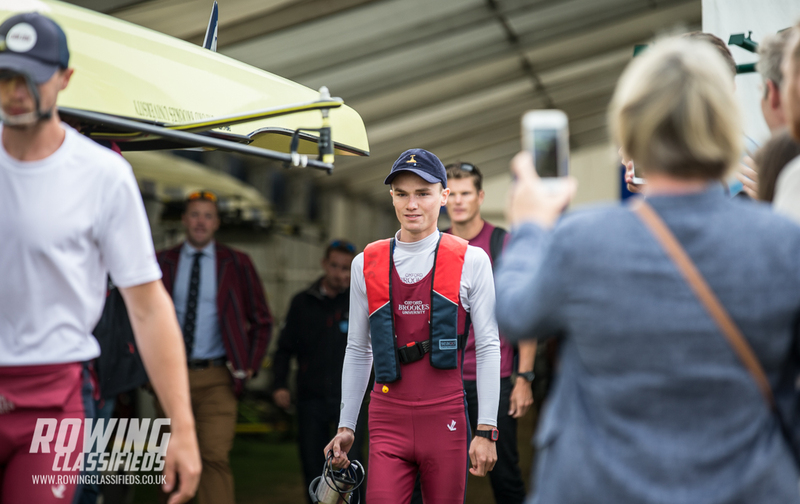 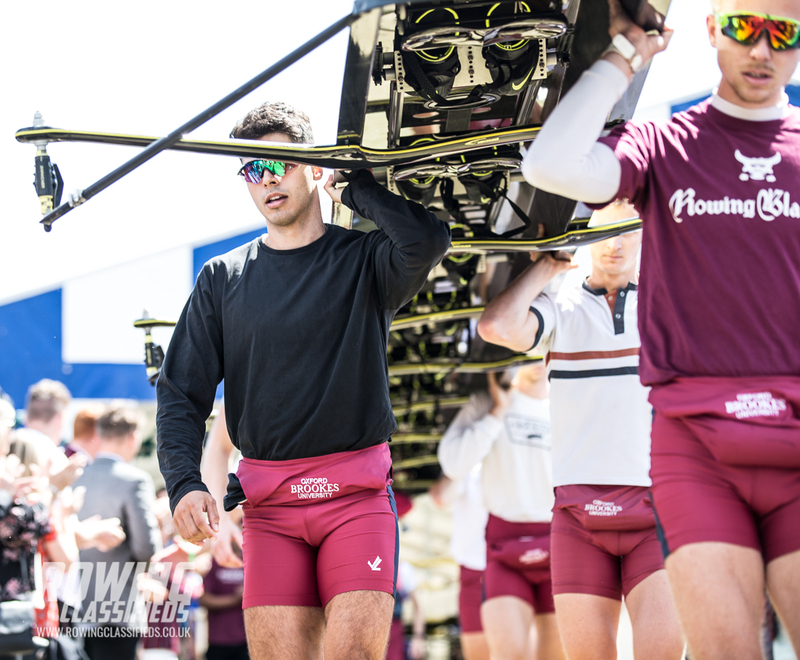 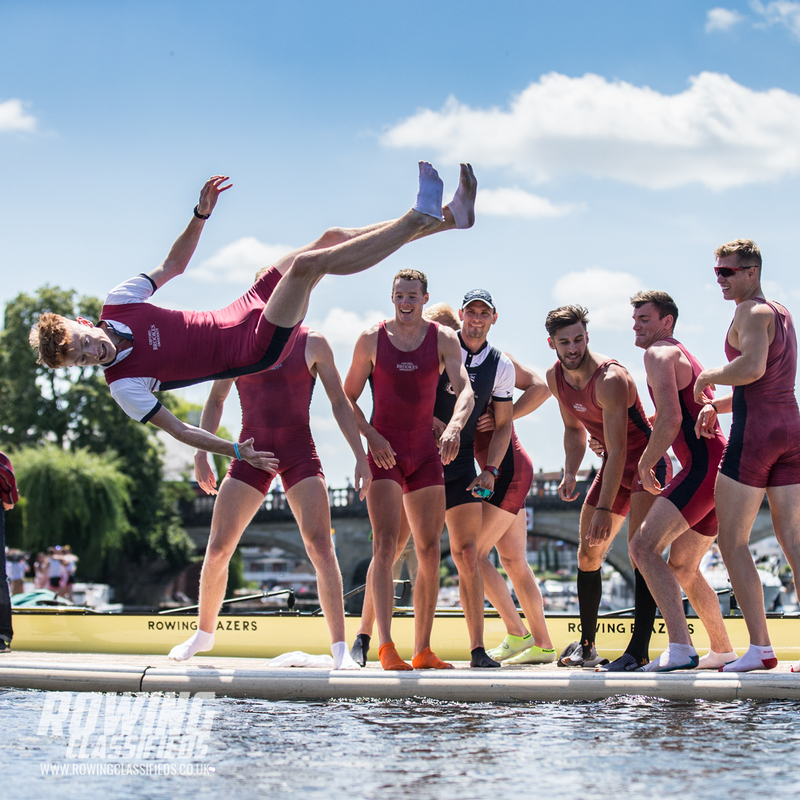 Oxford Brookes pulled off the a spectacular Henley Royal Regatta double on Sunday with wins in both the Temple Cup and the Ladies’ Plate. 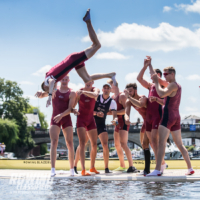 Their win in the Temple makes Brookes the first university club to win in consecutive years with their name being on the trophy for 3 of the last 4 years. 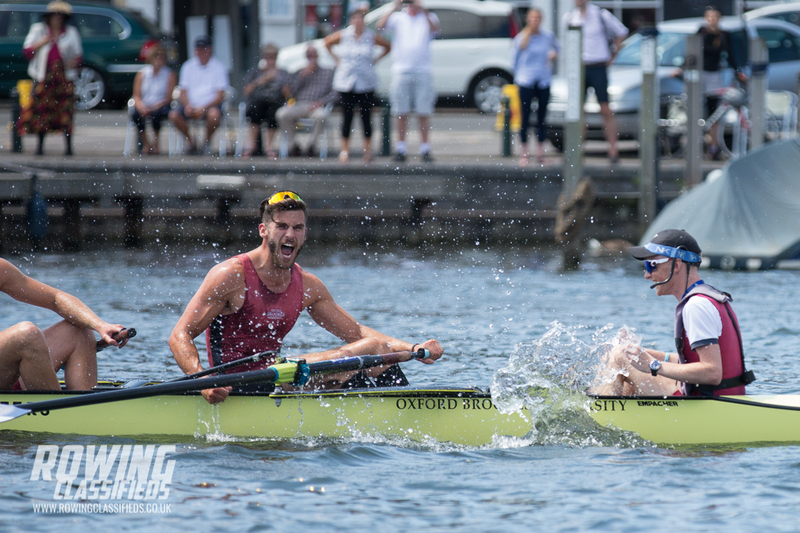 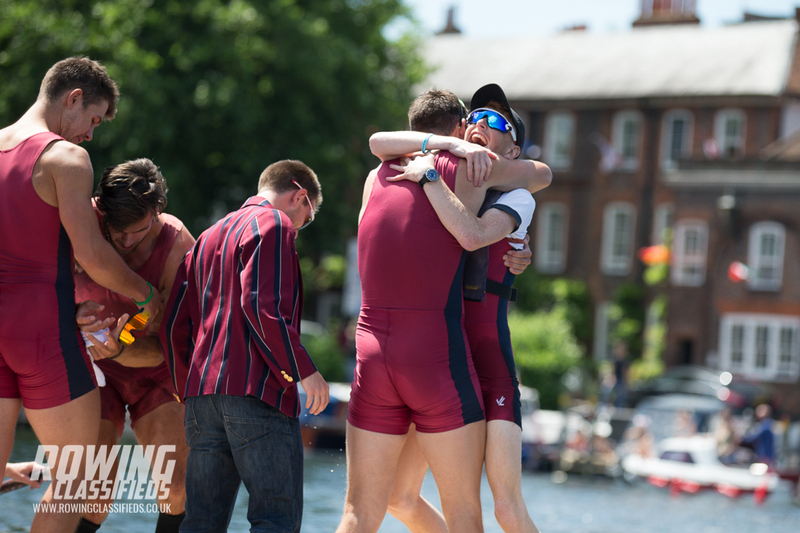 This year’s win was ever the more credible having beaten University of California by 1 1/4 lengths in the semis and a tough University of London A in the final by a mere 3/4 length. 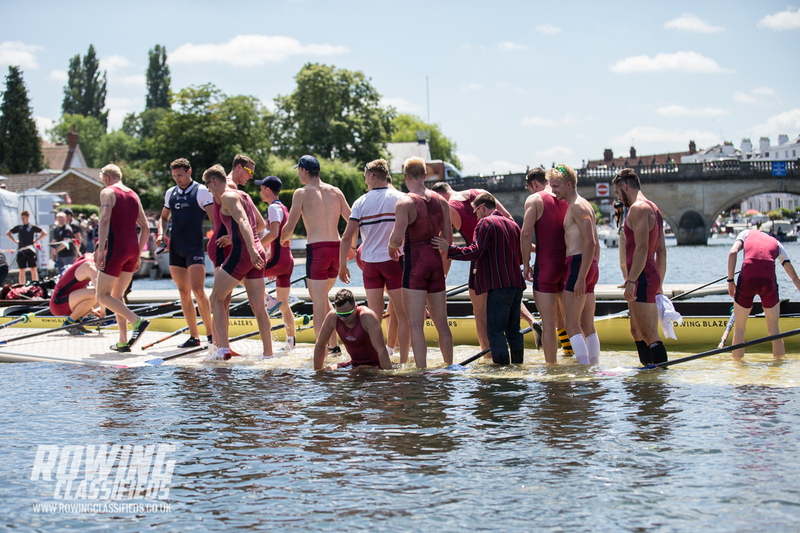 The Ladies plate crew had a tough passage through to the final having raced a close semi-final against RTHC Bayer Leverkusen (GER) winning by 3/4 of a length. 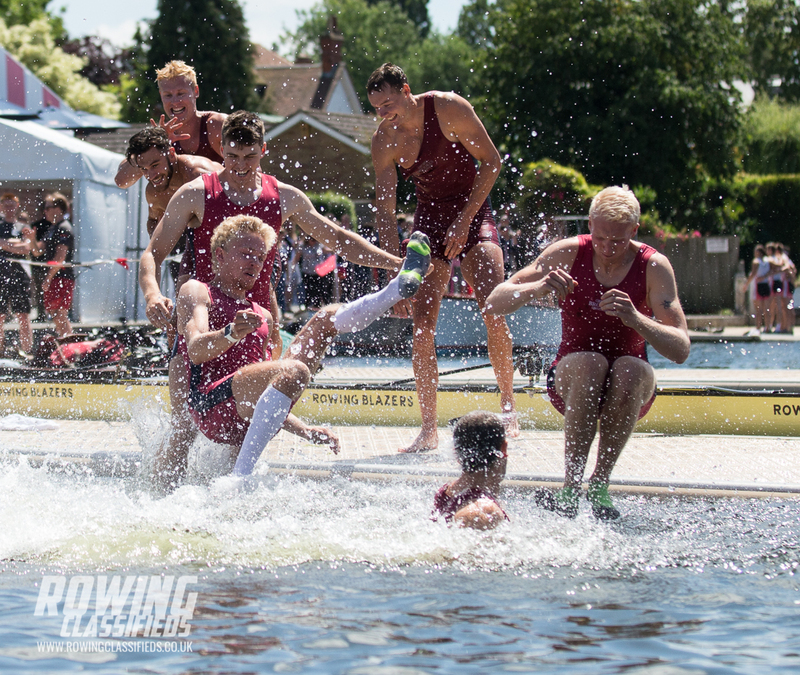 In the final they were paired against Molesey BC & London RC, the British Rowing U23 squad. 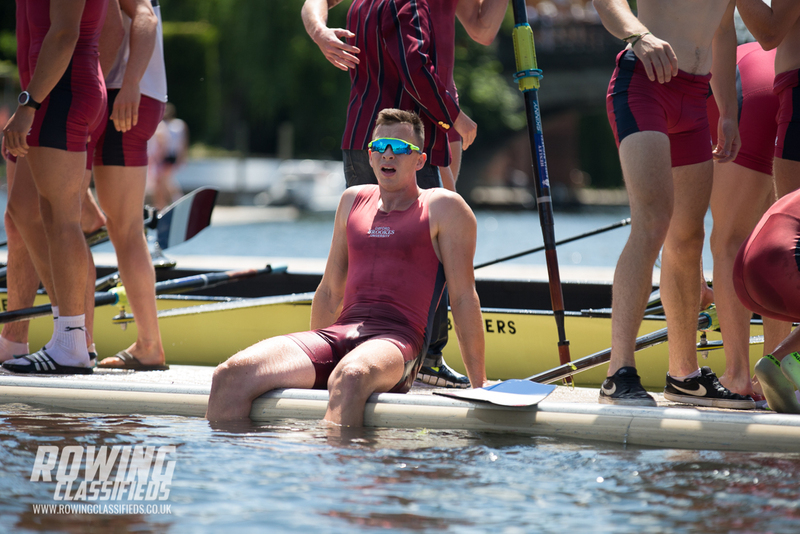 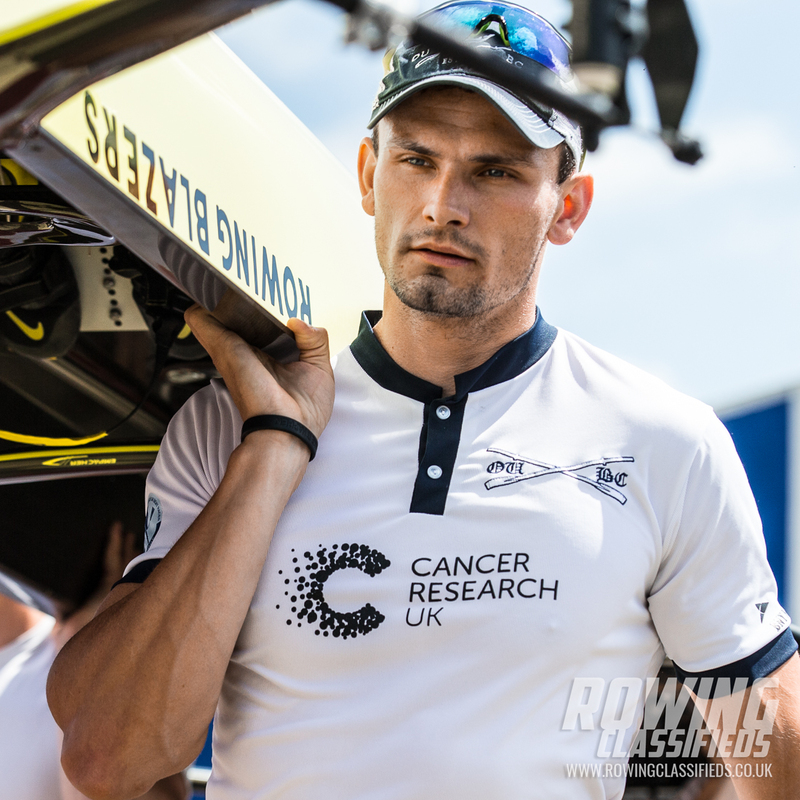 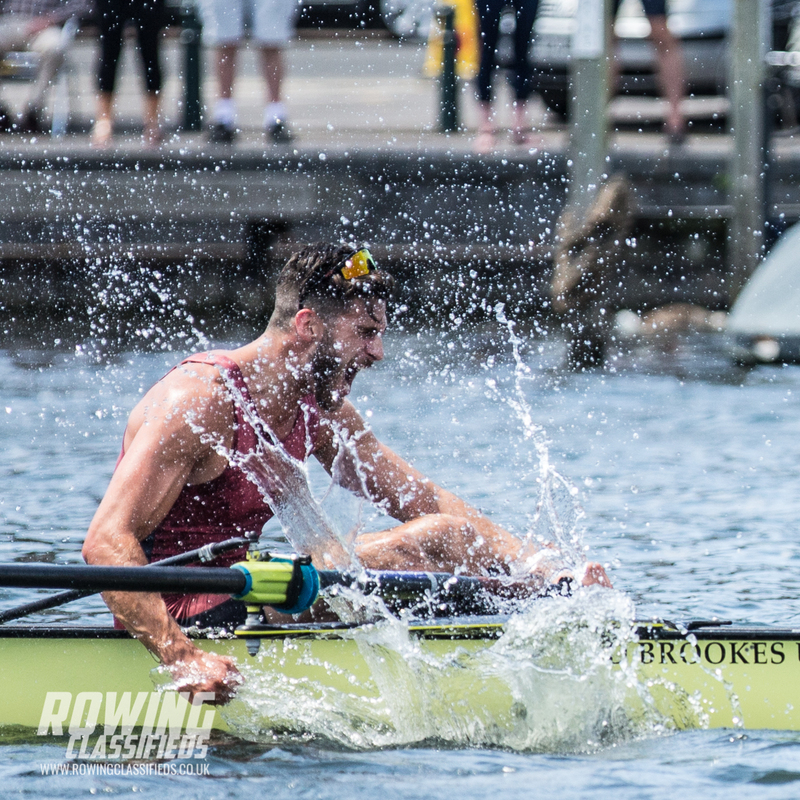 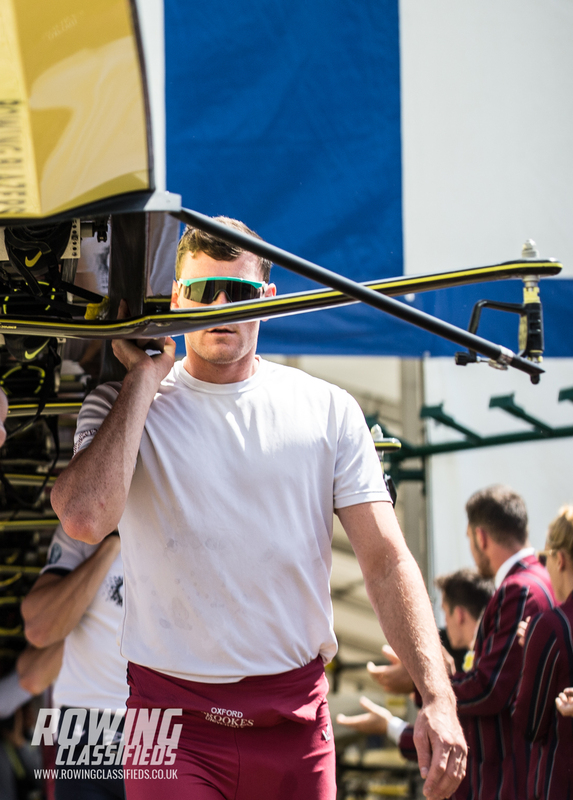 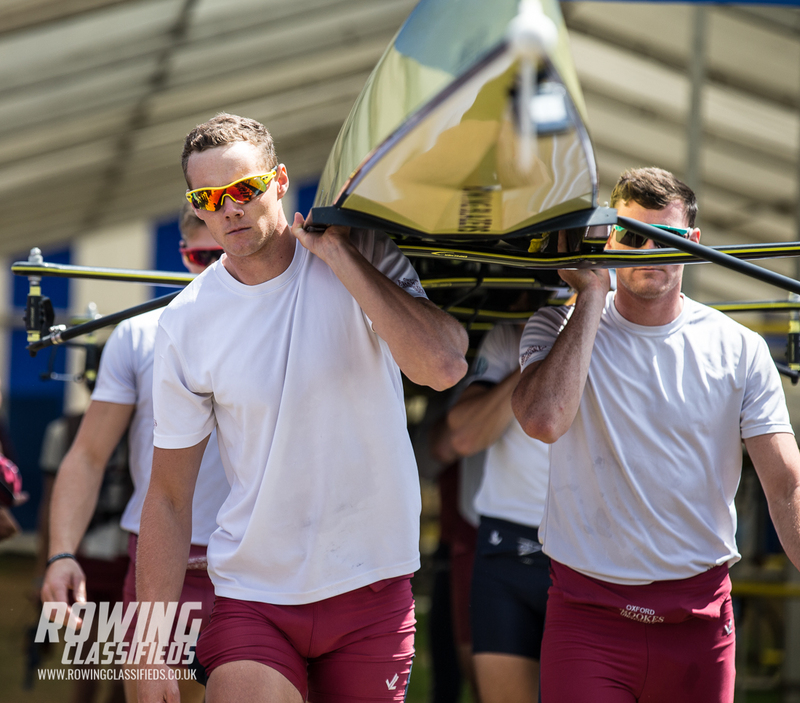 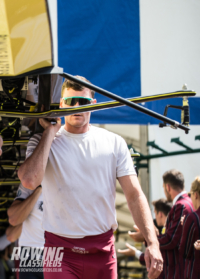 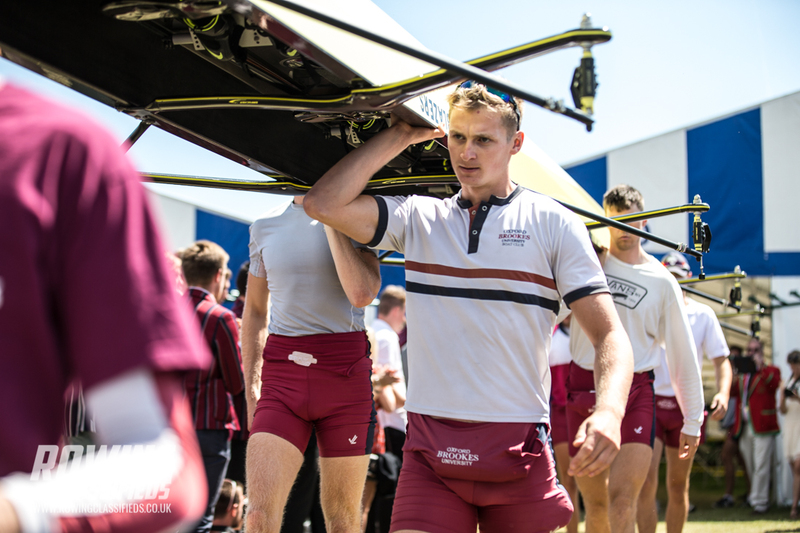 Brookes finished 3/4 length ahead and just outside the course record in the fastest time of the whole regatta at 6 mins 1 second – the Grand being won in 6 mins 4 secs. 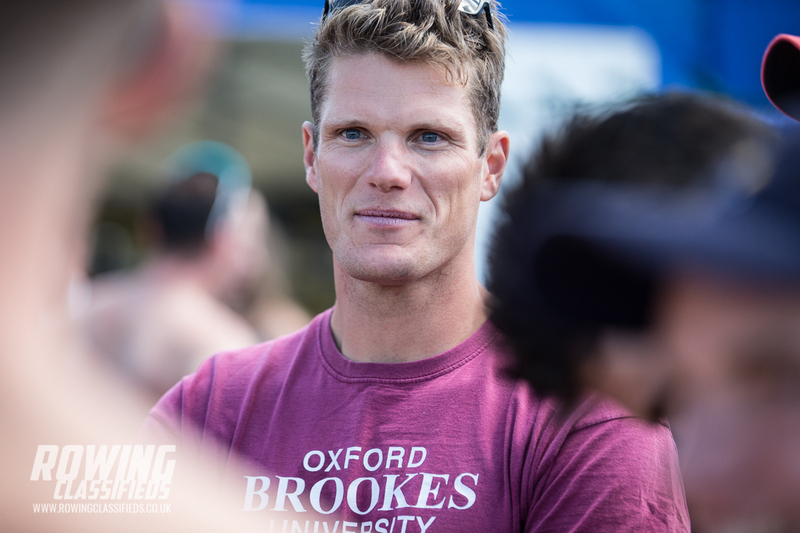 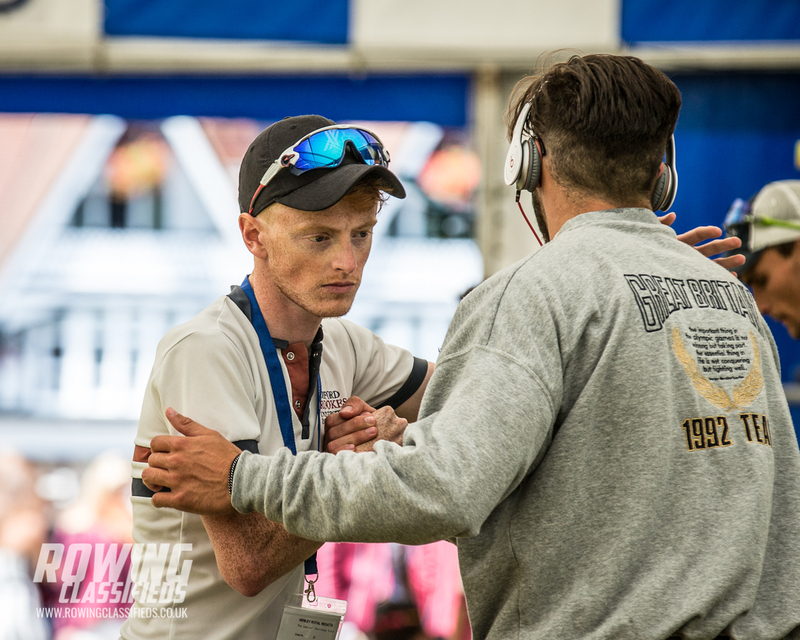 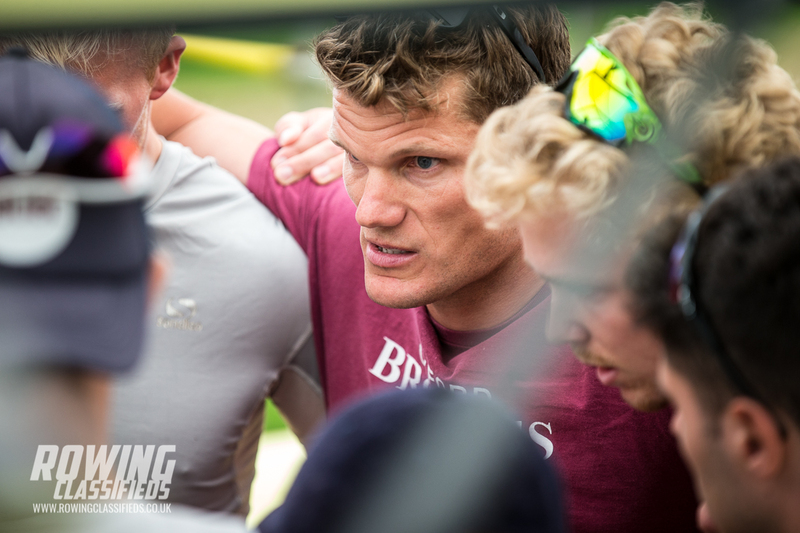 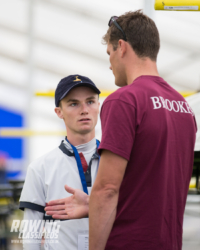 What is quite evident observing the Brookes athletes from the boat tents is the complete respect and reverence the crews have for the coaching staff. 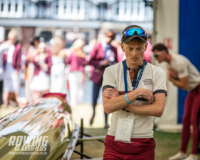 Head Coach Henry Bailhache-Web didn’t break a smile from Wednesday until “Operation Ladies Plate” was complete and his charges returned to base. 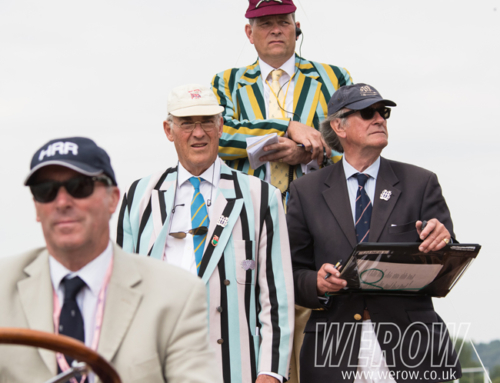 Even then it was Director of Rowing, Richard Spratley who ran onto the pontoon to greet his crew. 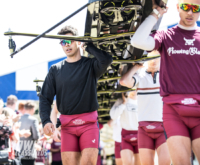 Bailhache-Web is very much in the background, in complete control, focussing the crews, prepping the boats and corralling the Brookes support. 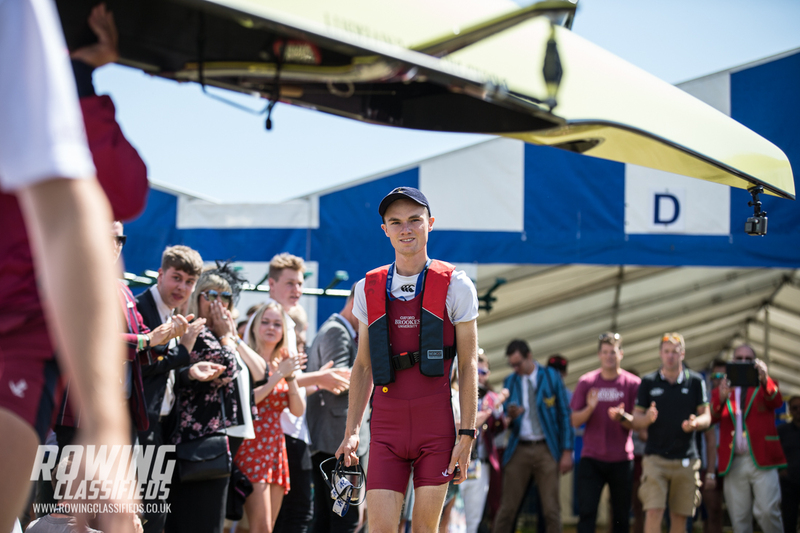 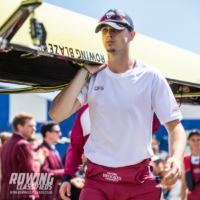 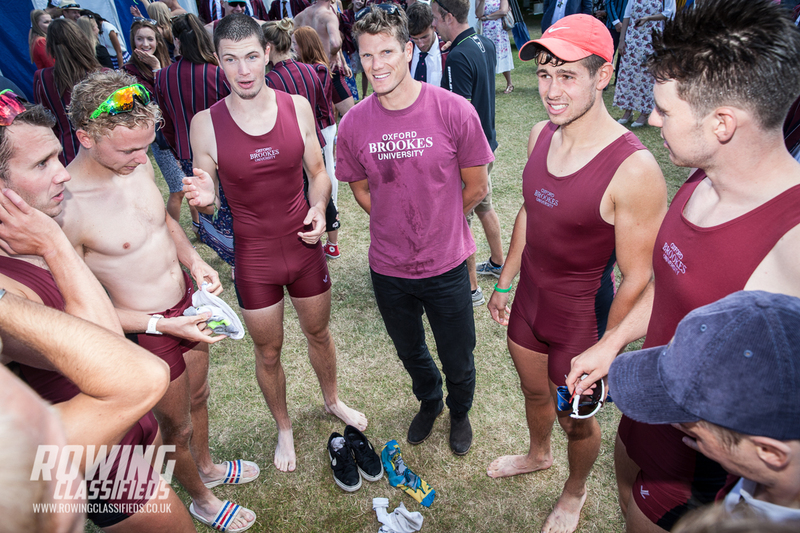 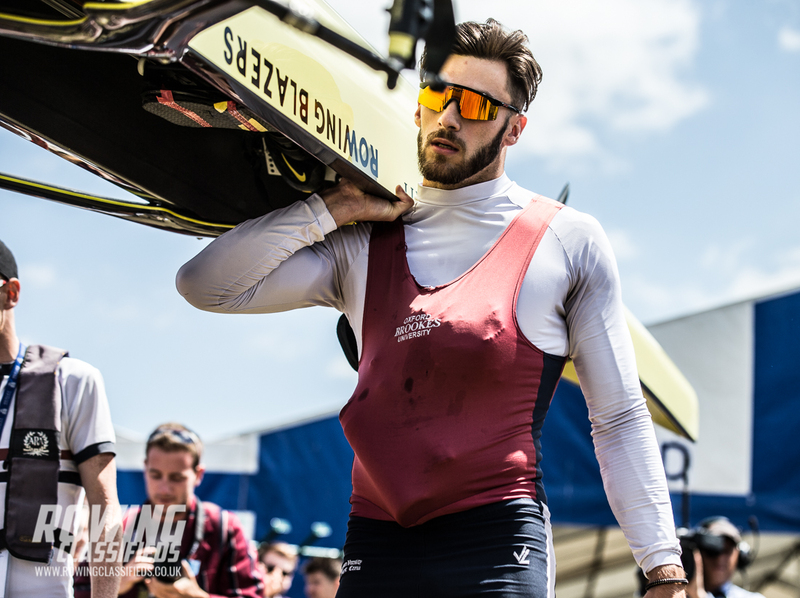 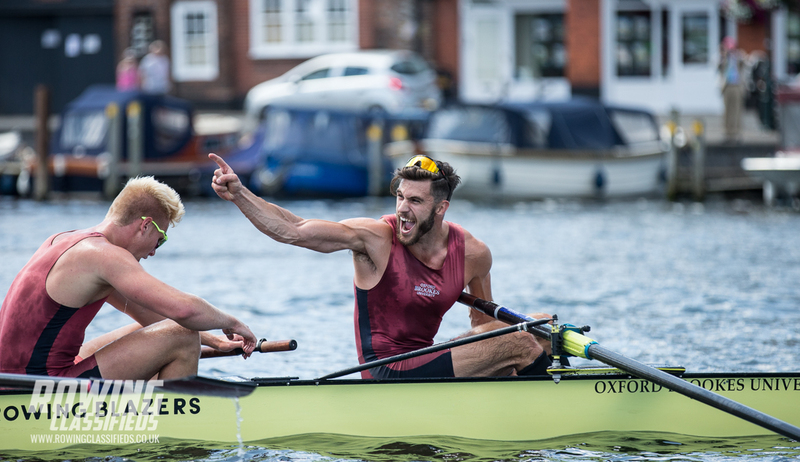 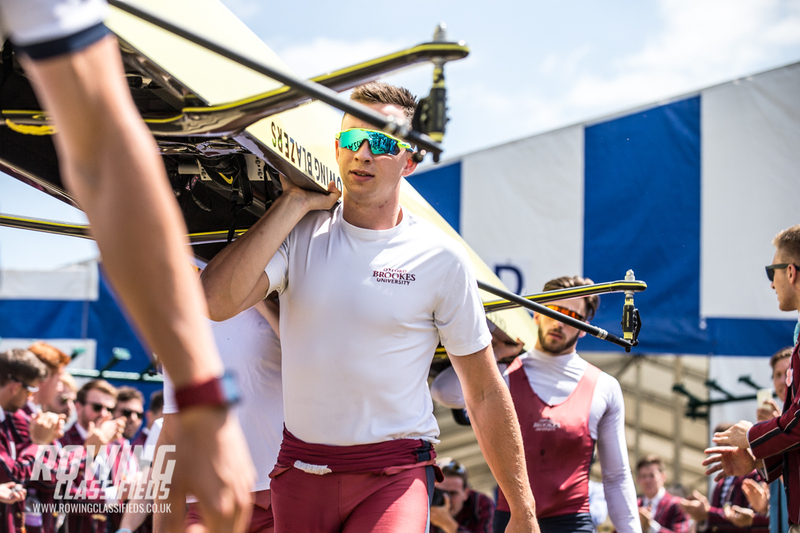 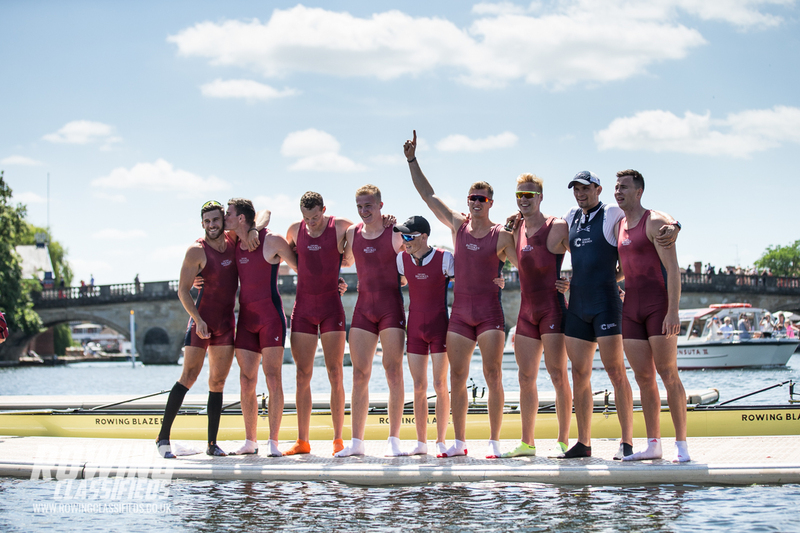 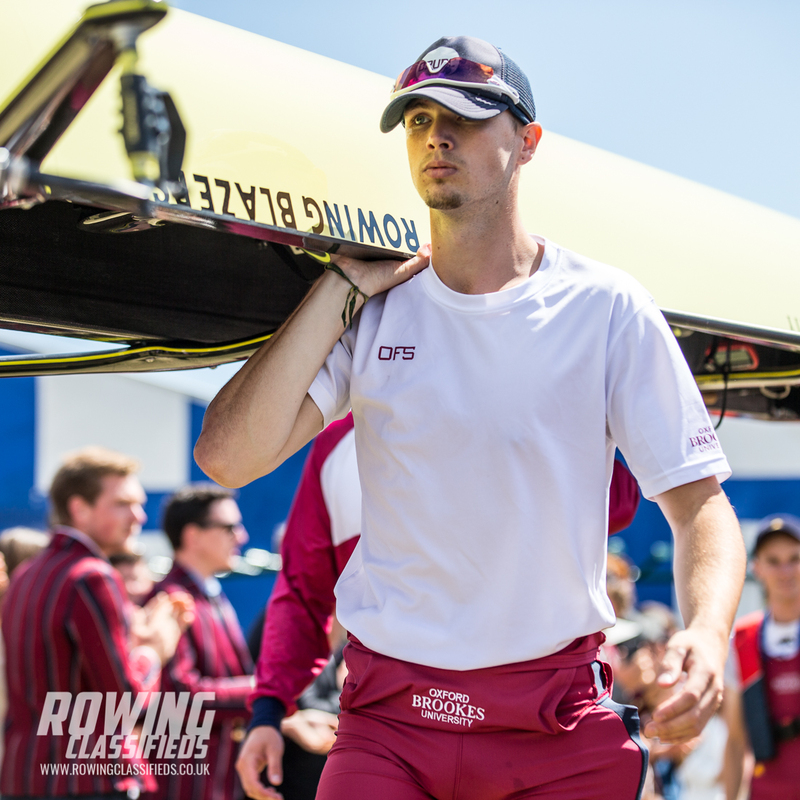 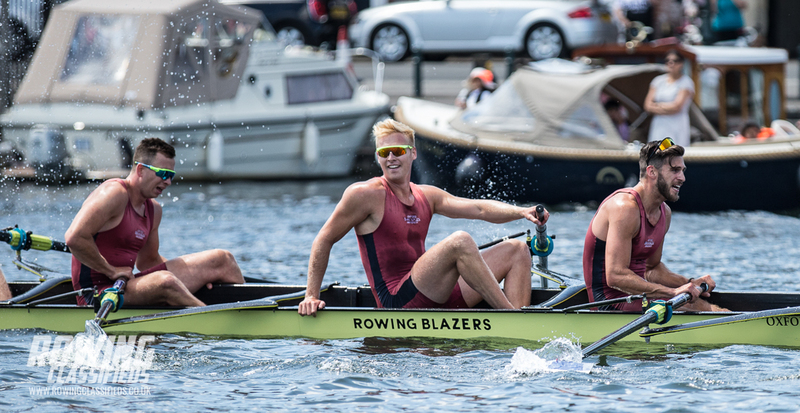 Oxford Brookes became the number one rowing university in the UK after winning a record haul of medals at the BUCS Regatta 2017. 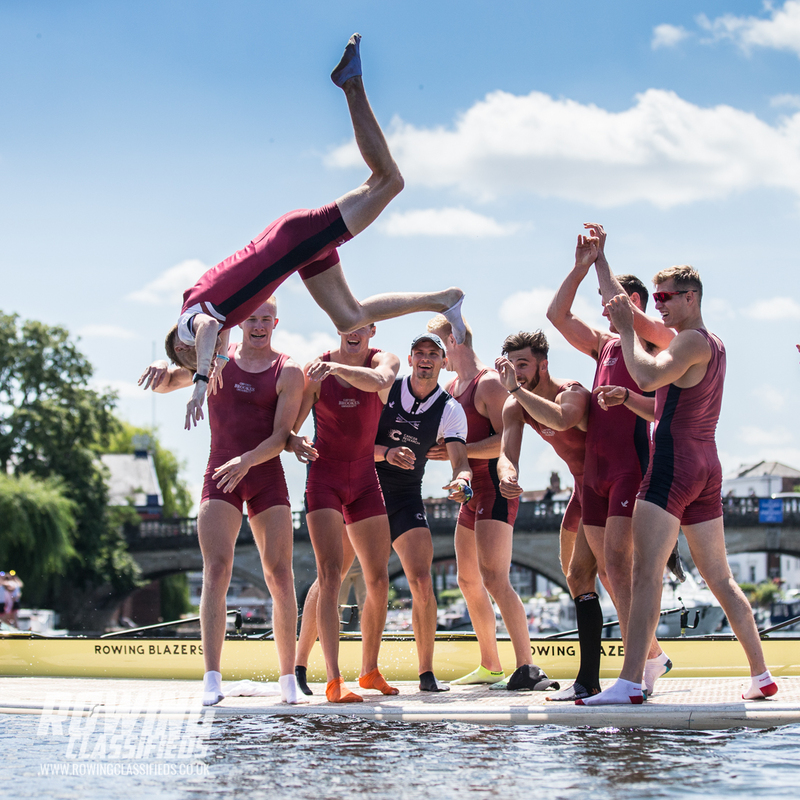 They remain unbeaten in 2017 and at Ghent International in Belgium swept the gold, silver and bronze medals in the eights. 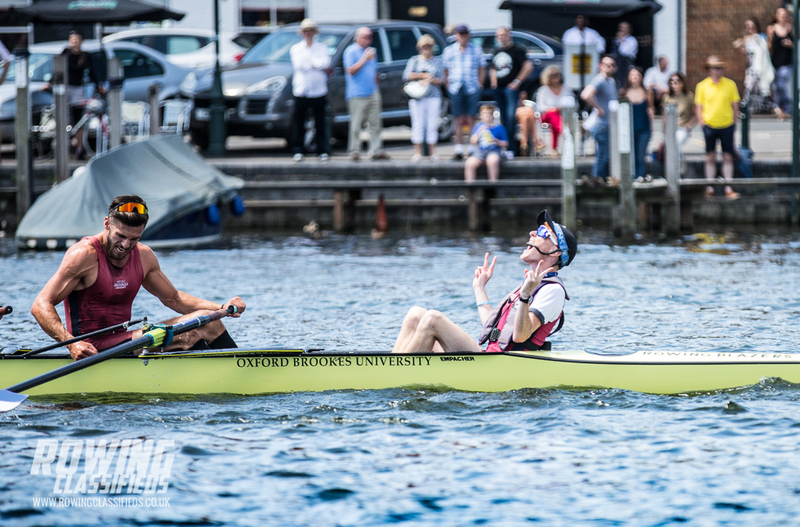 The first and second Brookes crews broke the Ghent course record which has stood since 1990. 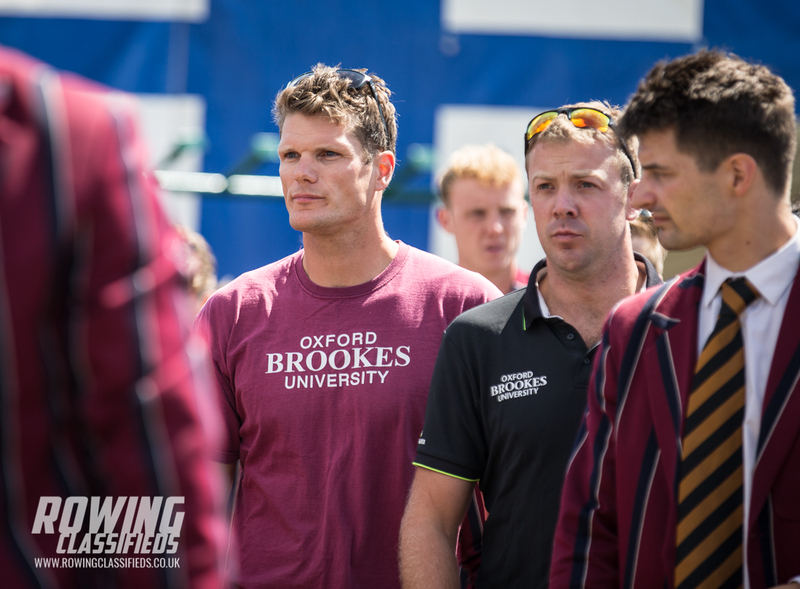 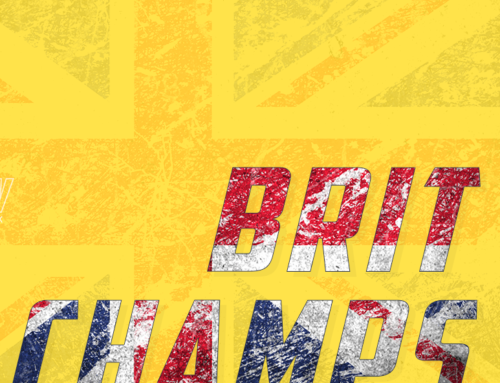 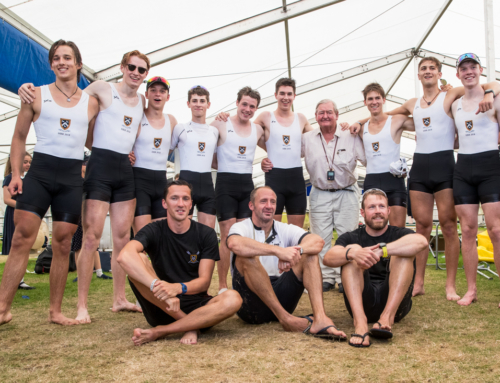 Brookes took the top 3 places at the Met Regatta in June and later broke the British national Record at Marlow Regatta. 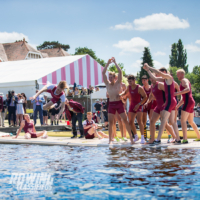 The developing Brookes women’s squad featured well at Henley Womens Regatta although none of the women’s crews made the finals at Henley Royal Regatta. 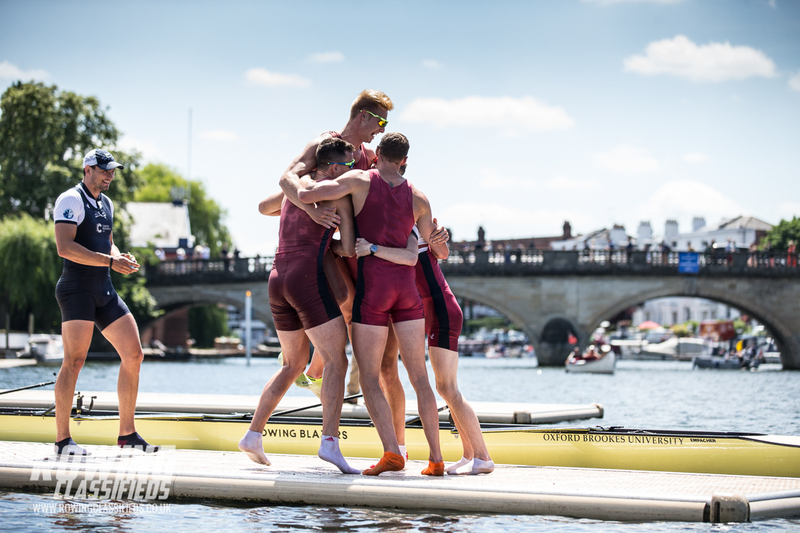 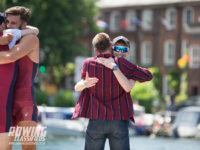 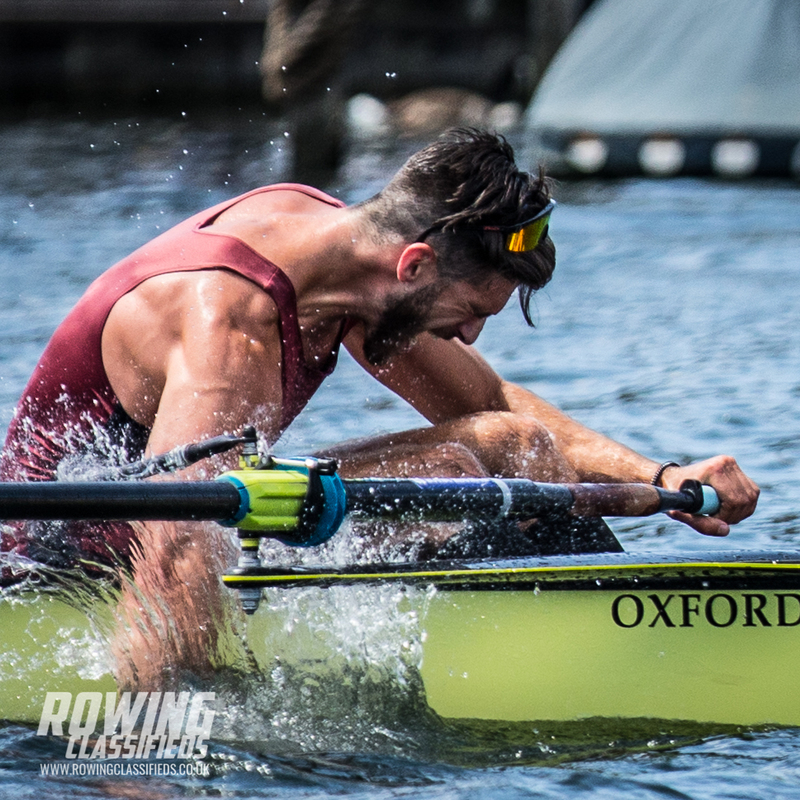 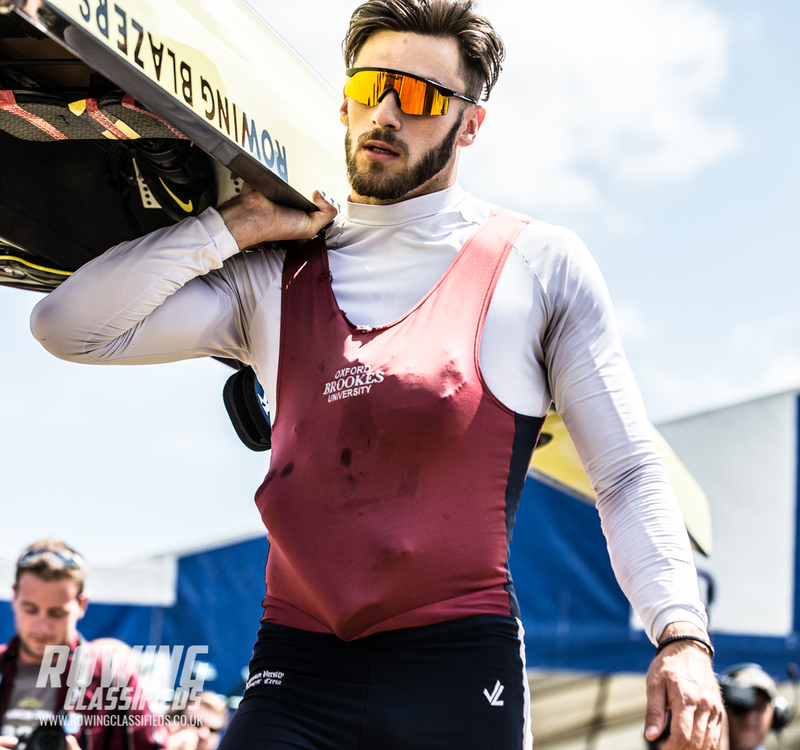 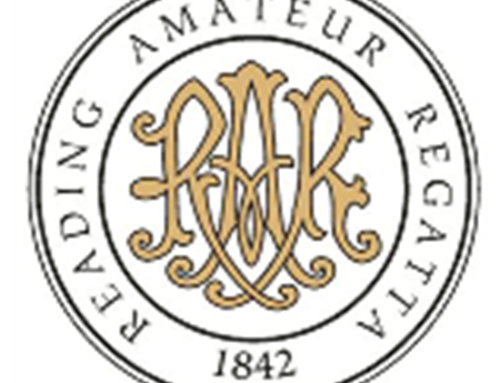 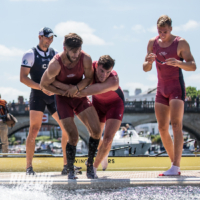 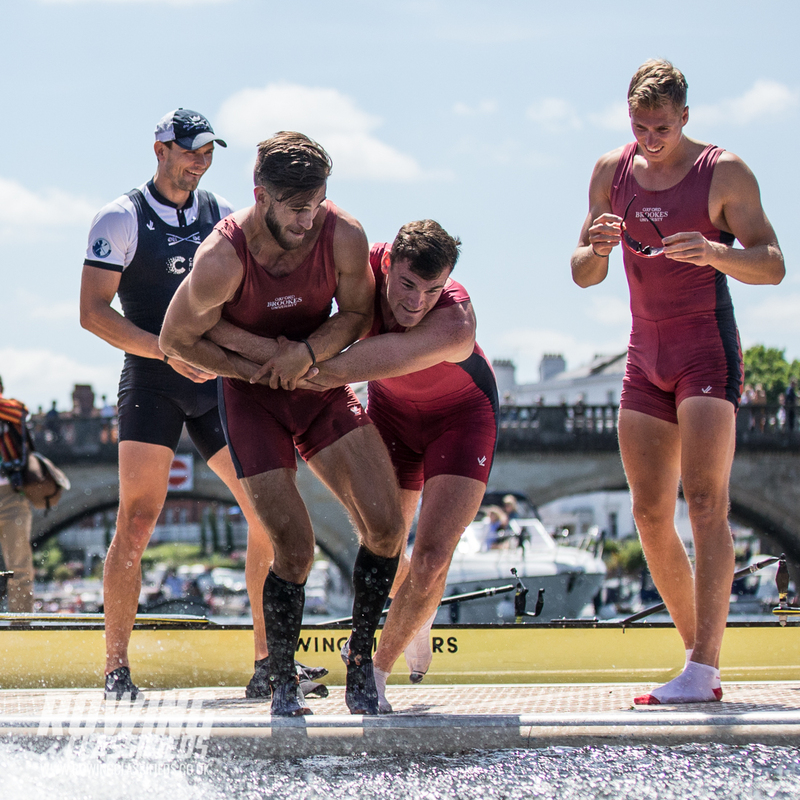 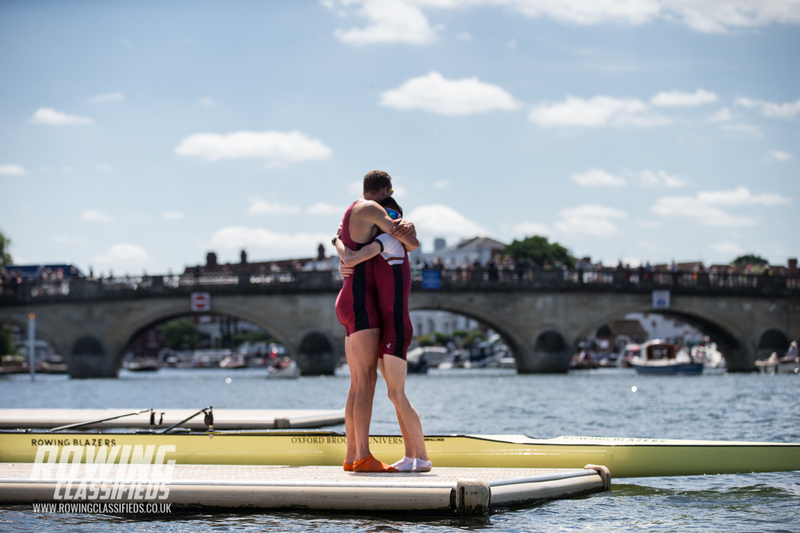 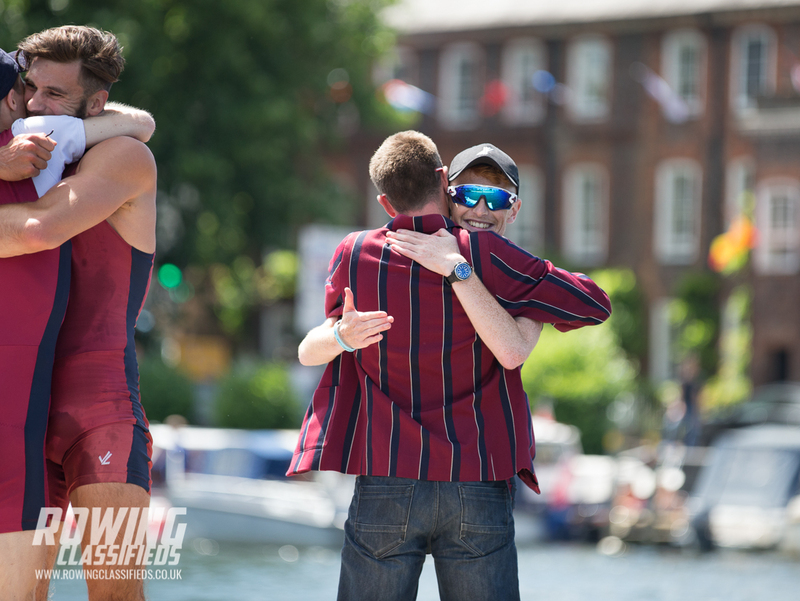 Please feel free to save and share any of the images here – all that we ask is for you to credit Rowing Classifieds and if you can add a link to this page where possible. 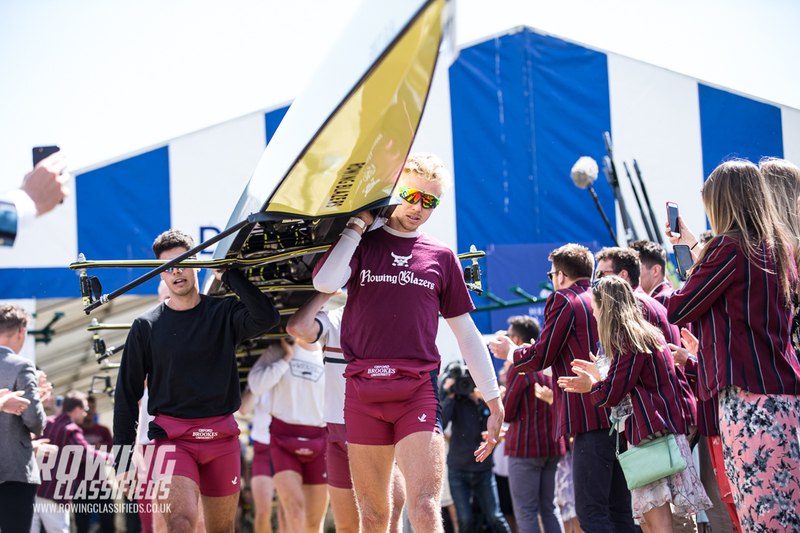 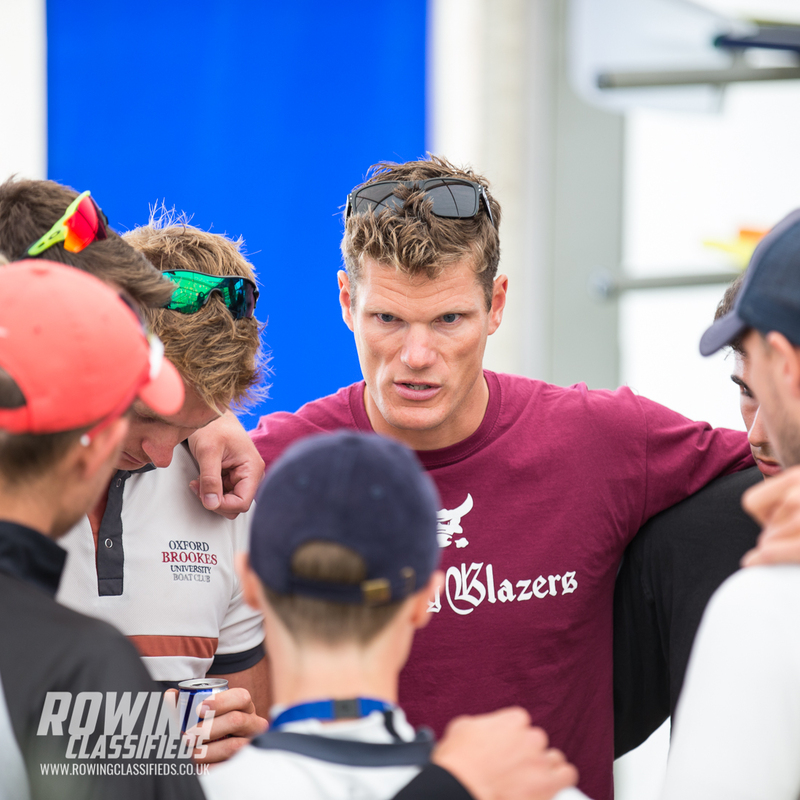 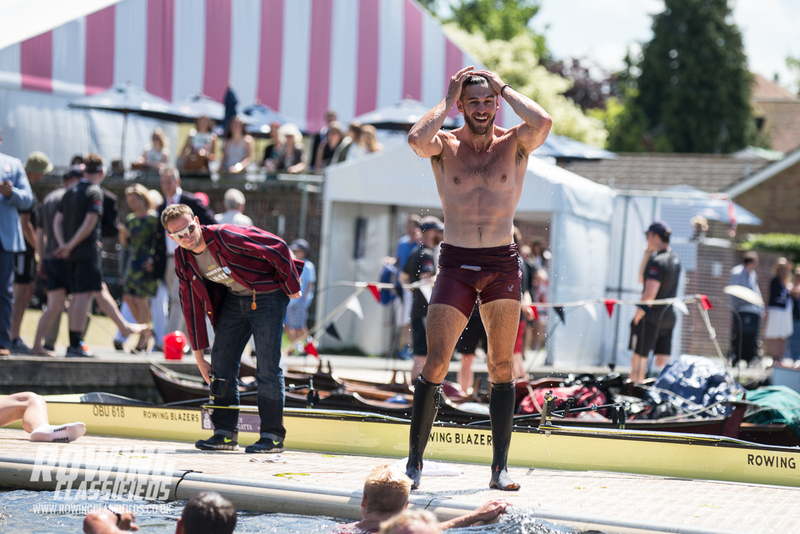 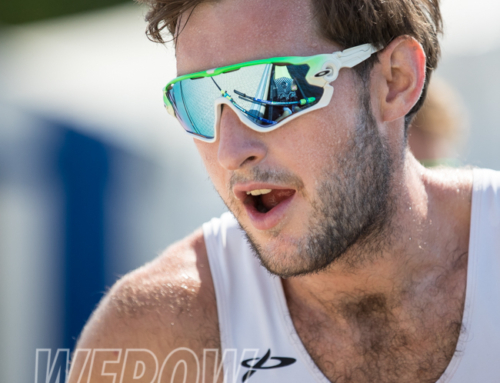 Images & text copyright Rowing Classifieds/Angus Thomas.